This Makeup Brushes Cleaner and Dryer Clean and dry all sizes of makeup brushes thoroughly in just a few seconds. Order within: We send today. 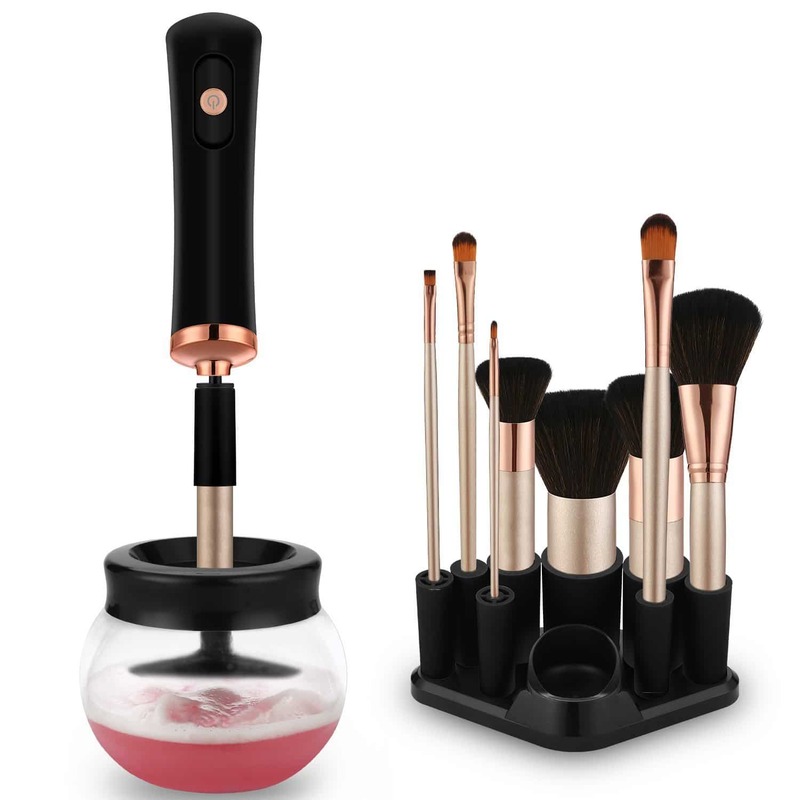 Eight different sizes of rubber holders fits all your makeup brushes perfectly, which improve your makeup experience and save your time and money. In fact, your makeup brushes are much more dirty than you imagine. 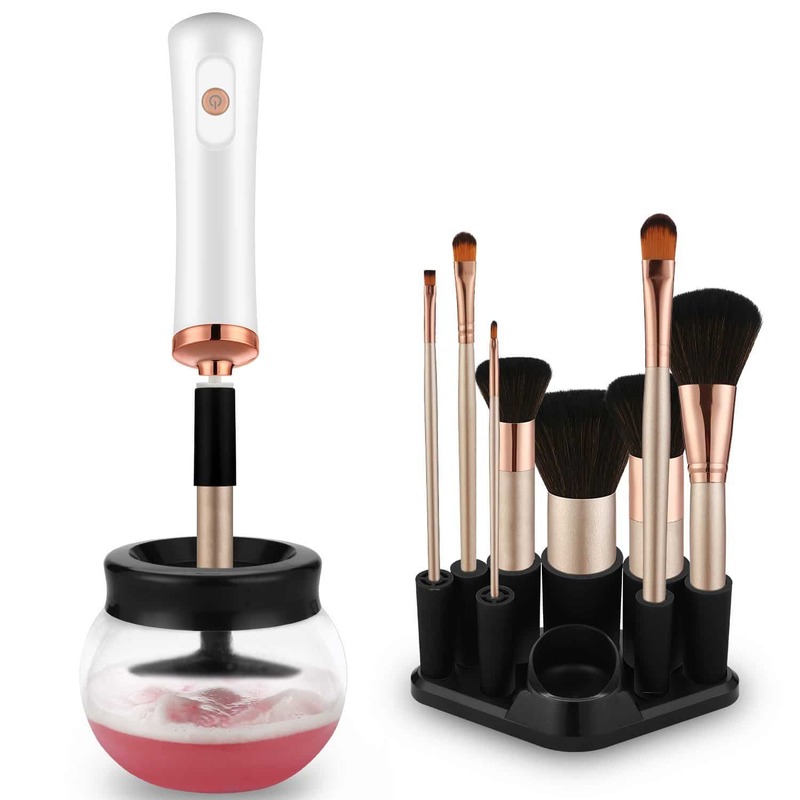 Makeup brushes should be cleaned at least twice per month, not only to remove residual cosmetics, but bacteria, oil, dirt and dead skin as well. 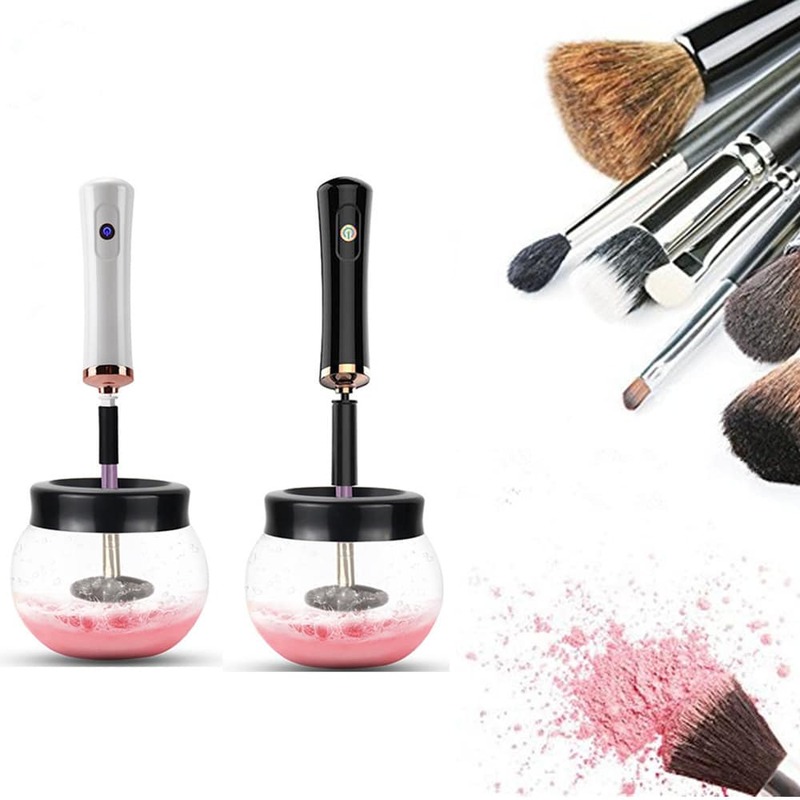 This cleaner can help you clean all sizes of makeup brushes more easier. It just take 10 seconds to clean it thoroughly and another 10 seconds to dry it, and it will be as new. 1. Put some water and soap or makeup cleaning shampoo into the bowl. 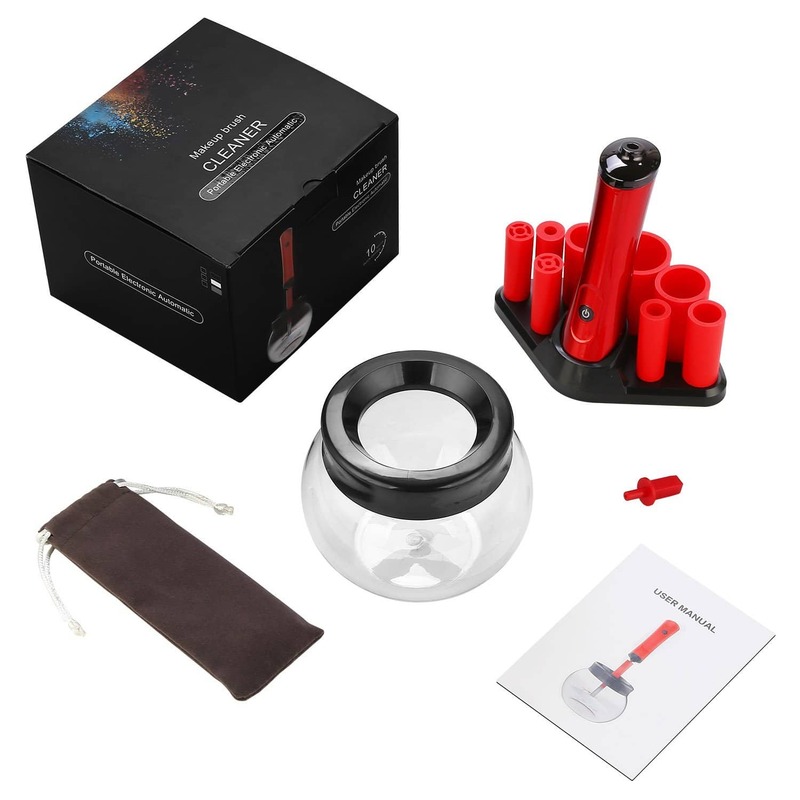 The machine is powered by 2 X AAA battery (not included the battery).